Eleven spots in Central Park, Brooklyn, and Queens that long Isalnd wedding photographers recommend for engaged couples and newlyweds. Planning a New York wedding? Congratulations! An NYC wedding is fun to both plan and experience, no matter where in the city your big day takes you. And one of the best parts is celebrating both the start of your marriage and your love of the city by finding the perfect place to take your wedding photos! When you hire local wedding photographers, you benefit from their experience photographing the city. Local wedding photographers know exactly where to take the most magical photos for every couple, whether you want to stroll in Central Park, wander the streets of Brooklyn, or enjoy the bustle of Queens. 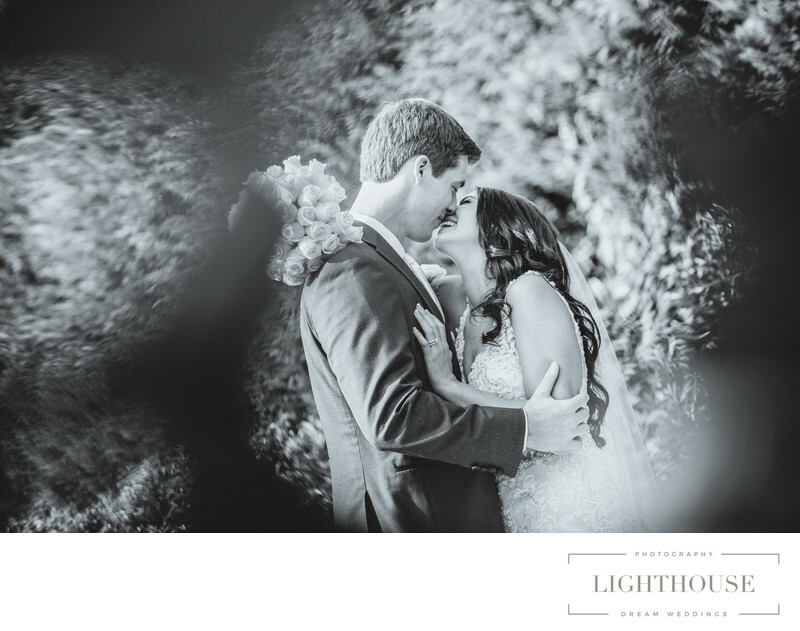 Rain or shine, casual or glamorous, intimate moment between newlyweds or playful wedding party group… no matter what sort of vibe you want, ask a local wedding photographer where to make it happen! At the north end of the park, you’ll find the Harlem Meer. This beautiful pond is surrounded by towering trees, rocky hills, and depending on the season, asses of beautiful flowers. It’s less crowded than spots like the Reservoir or the Pond, which makes it a perfect spot for taking Central Park wedding photos. And because it’s at one of the north corners of the Park, you won’t find the crowds here that congregate at more central locations like The Pond or The Reservoir. Whether your love English literature or beautiful gardens, this is one of the most perfect spots in Central Park. Tucked into the west side of the Park, this garden only has flowers and plants that are mentioned in Shakespeare’s poems and plays. There’s something growing almost every month of the year — and it’s equally lovely if you catch it in the snow! Just a quick stroll away from the Harlem Meer you’ll find the North Woods, one of most beautiful places for wedding photos in Central Park. With towering trees that form a beautiful backdrop in every season, surprising waterfalls and picturesque bridges, you’ll feel like you’ve left the city and stumbled into a magical forest. The bridges of Central Park are always a favorite spot to take wedding photos, but they get crowded quickly! It’s hard to find a moment of the day when the Bow Bridge isn’t packed with joggers, tourists, photographers, and visitors enjoying the view. But if you head toward the Pond, you’ll find the Gapstow Bridge, a less well-known but beautiful spot for photos that looks like it was pulled straight from a Monet painting. If you’re getting married in Brooklyn, you don’t have to travel far to find great places to take your wedding photos! Want Central Park wedding photos, but don’t want to travel to Manhattan in between your ceremony and reception? Head to Prospect Park! This beautiful space has everything you could want for wedding photos: grassy fields, beautiful bridges, fountains and ponds, even a boathouse! There are so many spots for wedding photos, you might have to pick and choose your favorites. Luckily, no matter where you go in the park, you’ll find something to love. Brooklyn Bridge Park is another great spot for wedding photos in Brooklyn, and one of the sweetest and most fun parts of it is Jane’s Carousel. The historic wooden carousel was originally built in the 1920s for an Ohio amusement park. Riding the carousel makes for an incredibly fun photo shoot, especially for wedding parties, and when you’re done riding you’ll also be able to enjoy views of the Manhattan skyline and both the Manhattan and Brooklyn Bridges. Just across Flatbush Avenue from Prospect Park you’ll find the Brooklyn Botanic Garden, a beautiful, blooming retreat nestled into the middle of Brooklyn. From the towering conservatory to the lily pond to the enormous collection of rose bushes, there’s something growing here all year long. No matter what season you visit, you’ll find somewhere you love to take your wedding photos! Flushing Meadows Corona Park, often called just Flushing Meadows, is the fourth largest park in New York City. Created for the 1939 World’s Fair, and used again for the 1964 World’s Fair, it still has many spaces and statues from both events, including the iconic Unisphere sculpture. It’s also full of beautiful and fun places to visit, including the Willow Lake, Meadows Lake, and the Queen’s Zoo. It’s one of the most unique spots in NYC and a perfect place for wedding photography in Queens! Just across College Point Boulevard from Flushing Meadows Park you’ll find the Queens Botanical Garden. Its 39 acres include fields of flowers, charming walkways, an arboretum, fountains and pools, along with bee, rose, and herb gardens. There’s even a special wedding garden, designed specifically for newlywed couples, that you can make an appointment to visit. A wedding in Queens definitely calls for a stop for photos at the Botanical Gardens! Located on Flushing Bay and looking towards the East River, the World’s Fair Marina is a perfect stop for a Queens couple in search of waterfront views. This public pier is particularly stunning if you visit in the early morning or at sunset, when you’ll really be able to appreciate the light on the water. It’s a great place for group photos with your wedding party or family. If you’re looking for iconic NYC images in your wedding photos, we recommend heading to Queensbridge Park. This pretty little waterfront park looks out towards Roosevelt Island. You’ll be able to enjoy a stroll along the river with the stunning Queensboro Bridge in the background and the Manhattan skyline in the distance. 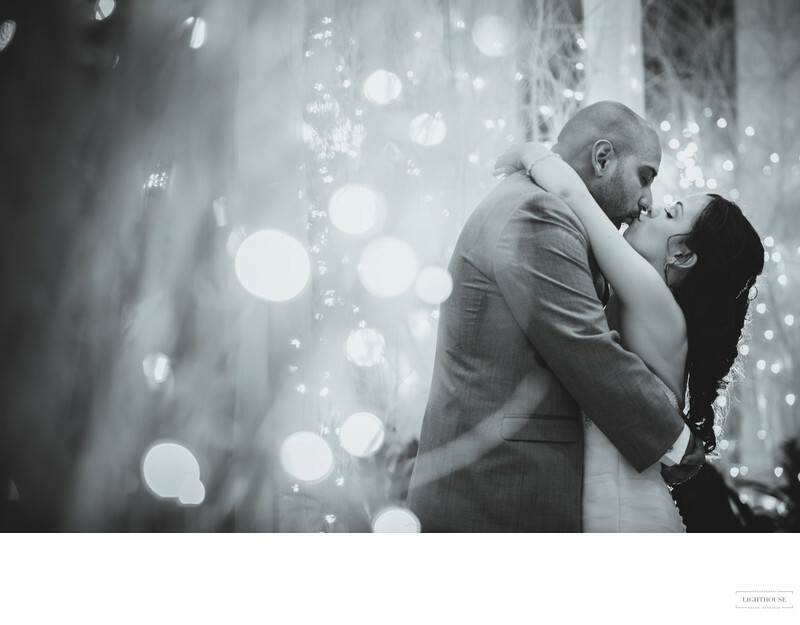 Looking for a Long Island wedding photographer? 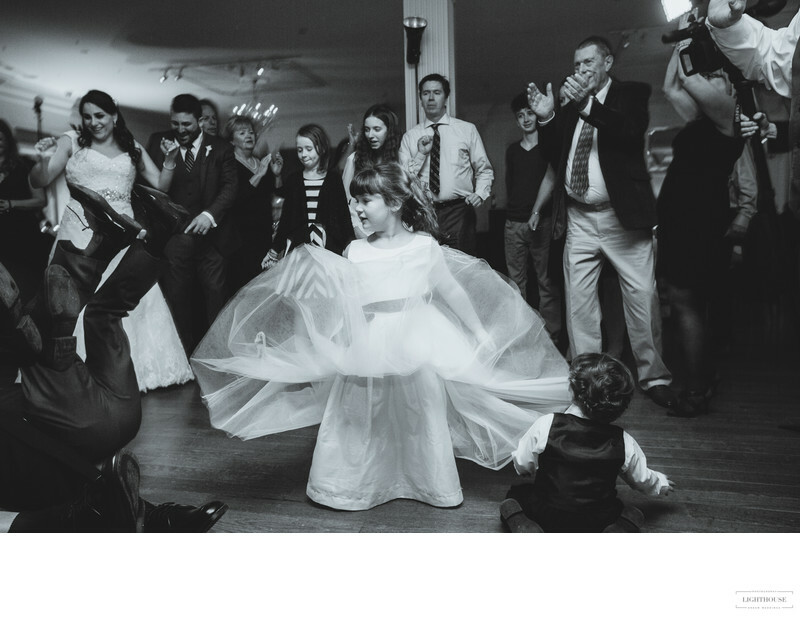 Trying to find a New York wedding photographer? We recommend looking local! Hiring a local wedding photographer comes with tons of benefits that can help keep both the planning process and your wedding day stress free. If you have questions about planning a New York wedding, finding a local wedding photographer, or choosing the perfect spot for your New York wedding photos, get in touch. We’d love to help you out!